mmmmm, looks delicious! It is supposed to be super hot here today and these would be perfect way to cool off! Popsicles are great for a hot summer day. 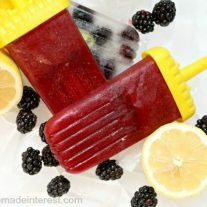 Blackberry Lemonade sounds like a wonderful combination! Thanks for sharing today at the Wonderful Wednesday Blog Hop. Sharing on social media in the next few days. Shari, thanks for sharing on social media! These look + sound so good! Perfect summer treat! Stopping by from #wakeupwednesday. Have a great rest of the week! These look wonderful! Perfect for a hot day like today! Thanks for sharing at the Wednesday Roundup! Oh, man, I must have those!! Thank you for adding your site to my blog link-up party! I’m now following you on bloglovin’ and also some of your Pinterest boards! Those look wonderful! I am definitely in the mood to try some soon. What a gorgeous-looking summer treat! Will have to make these for my little guy. He would love them! Mmmm I would love one of these on a hot day by the pool. They look so easy! Thanks for linking up 🙂 Definitely pinning this one! I have that popsicle kit too, and along with my ice cream maker it takes up permanent residence in my freezer all summer long. 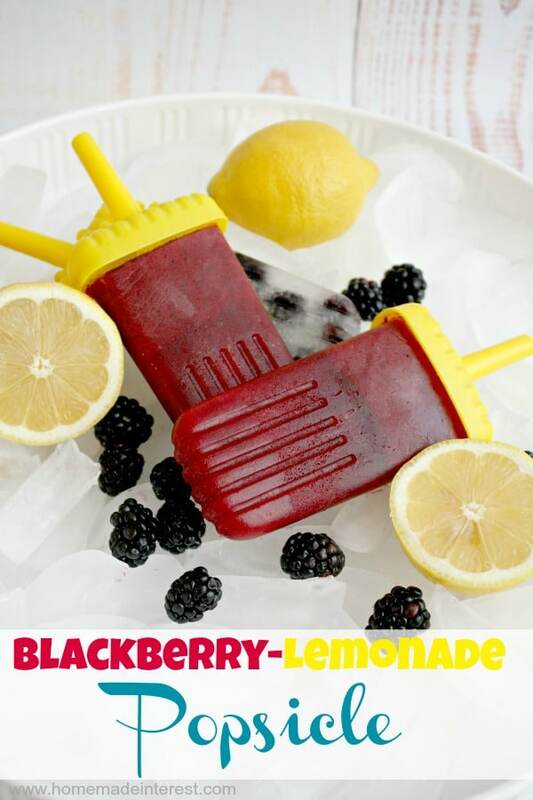 Blackberry lemonade sounds like a combination to try – thanks for sharing it. Visiting from Foodie Friday – have a great weekend. Mmm, we should get an ice cream maker next! 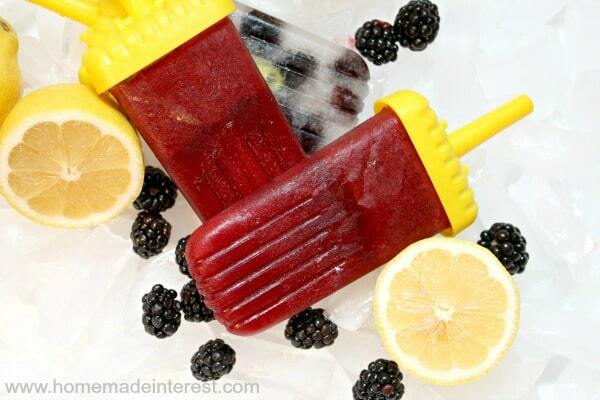 When my boys were little I loved making popsicles…not necessarily this flavor but these look yummy. Thanks for sharing. Yum! I’ve made blueberry lemonade before and really enjoyed that, I bet blackberry would be awesome too. Even better in popsicle form. Thanks! Looks so refreshing and flavorful! Stopping by from the Super Saturday Link Party! I love all things blackberry. And with lemonade! These popsicles sound super refreshing, perfect for the hot summer days we get here in Florida. These sounds so good; I’m pinning! Those look delish!! Very refreshing. These look delicious! Will have to try! These look delicious! Perfect for a hot summer day! so perfect for summer! definitely could relax by the pool and devour one of these right now.. (if only it wasnt winter here in Australia)! Making popsicles is absolutely the way to go as you know exactly what is in them! These ones look absolutely delicious. Bet they didn’t last long! These look so refreshing! I just bought popsicle molds and can’t wait to try these. Thanks for linking up to Your Designs This Time!